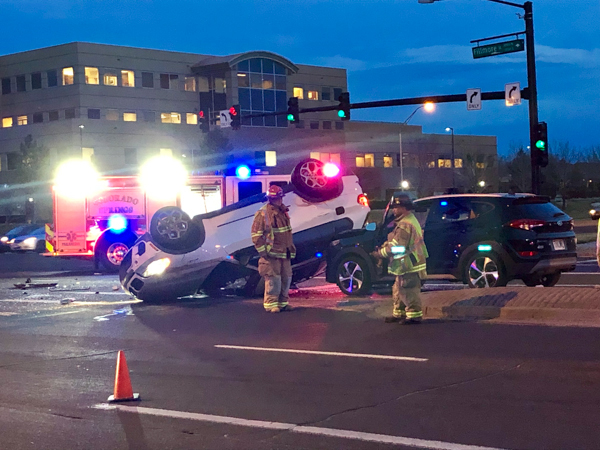 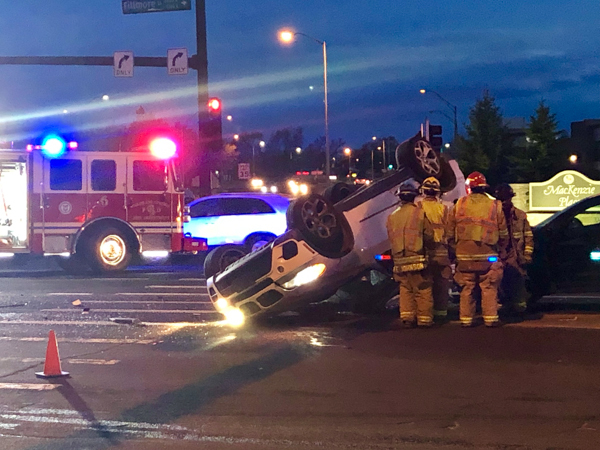 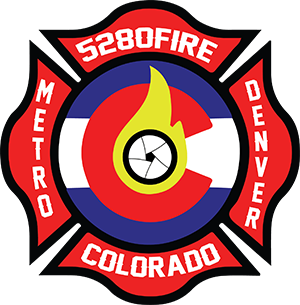 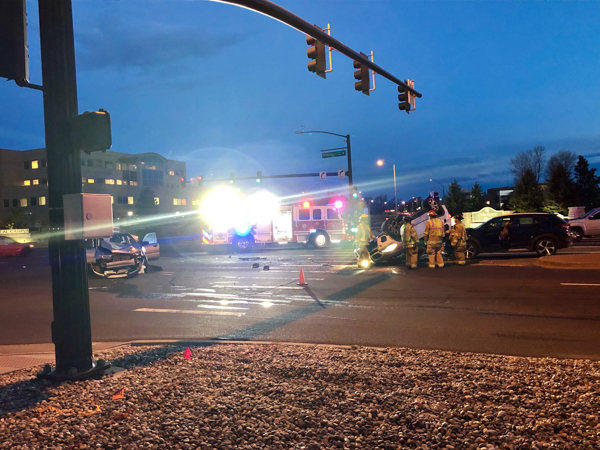 At 19:28 on April 9th, 2019 Colorado Springs Public Safety Communications Center alerted Colorado Springs Fire Department to the intersection of E. Filmore St. & N. Union Blvd. 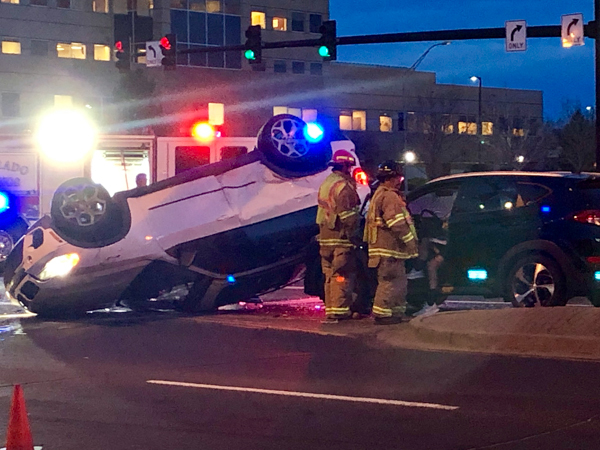 for a rollover accident with possible entrapment. 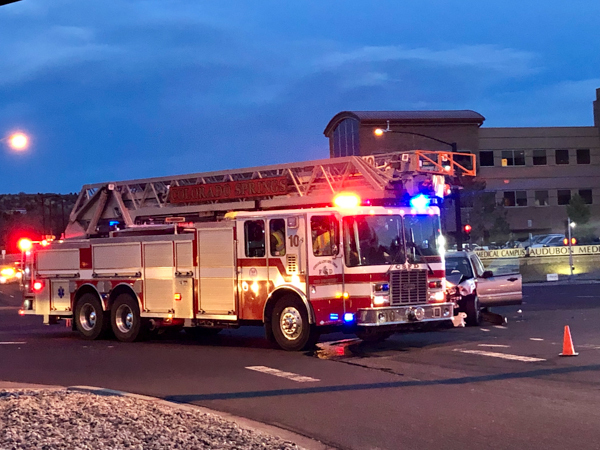 Engine 6 arrived on scene and reported three vehicles were involved with no entrapment, and requested Truck 10 to continue in to assist with patient care. 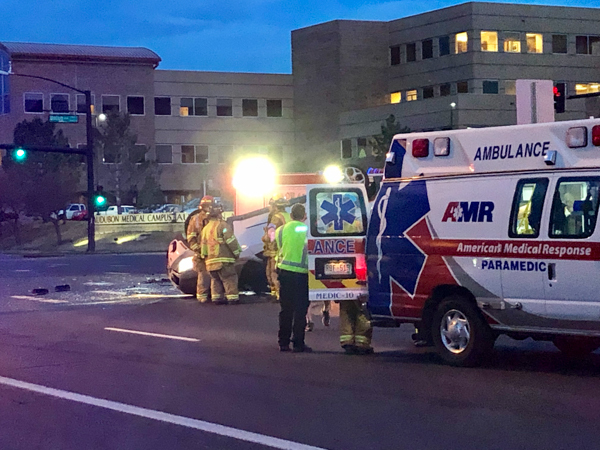 One patient was transported to an area hospital and units were released from the scene at approximately 19:40. 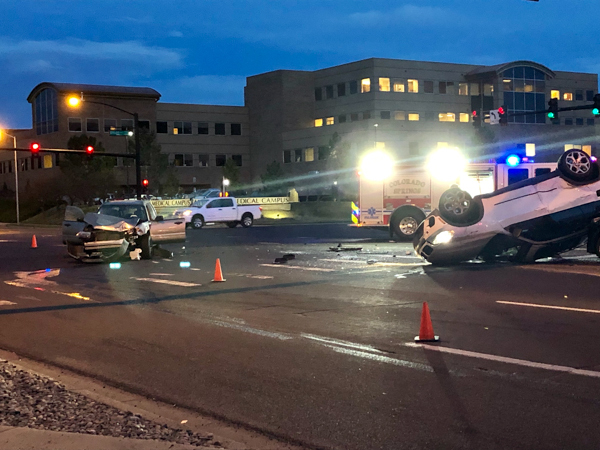 The collision is under investigation by the Colorado Springs Police Department.